WUNC Capitol Bureau Chief Jeff Tiberii talks with Becki Gray, of the John Locke Foundation, and Rob Schofield, of NC Policy Watch, about the week's news. Becki Gray, of the John Locke Foundation, and Rob Schofield, of NC Policy Watch, join WUNC's Jeff Tiberii to discuss the week's news. WUNC's Jeff Tiberii talks with Becki Gray, of the John Locke Foundation, and Rob Schofield, of NC Policy Watch, about the week's news. 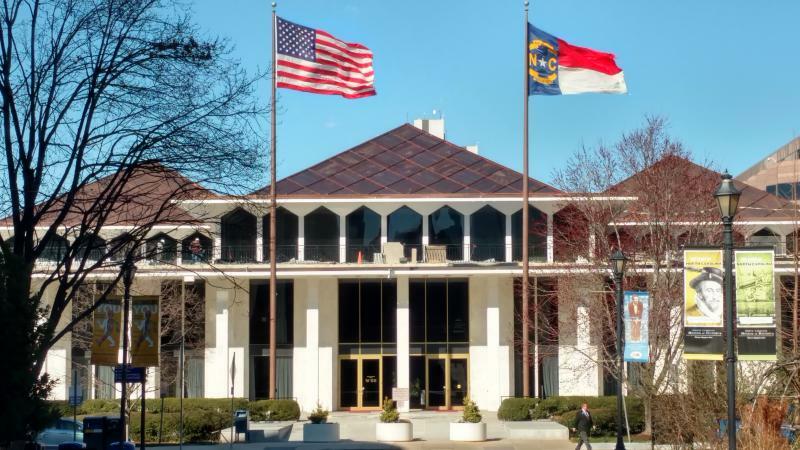 This week in North Carolina politics, a conversation about new legislative maps passed by the North Carolina General Assembly; a plastic bag ban repeal; and money to monitor and study GenX. This week in North Carolina politics, a conversation about unrest in Charlottesville; a Confederate statues comes down in Durham; and anti-white supremacists hold vigils across the Triangle. Meanwhile, Governor Roy Cooper calls for the removal of all Confederate statues across the state.